There are several pizza outlets in Dubai- from international outlets to home grown concepts. Now we have a new addition, The Veggie Pizza Company. As the name suggests it only serves vegetarian pizza. 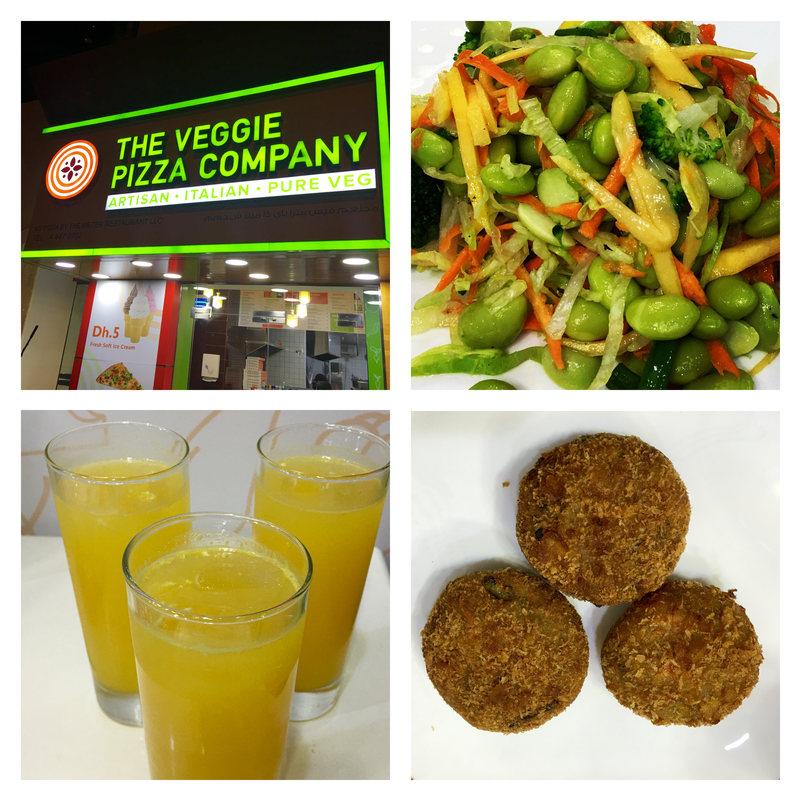 The Veggie Pizza Company is tucked away in one of the busy bylanes of Barsha. It is helmed by Mr.Harish who is passionate about vegetarian food, especially pizzas. At The Veggie Pizza Company all the pizzas are made in traditional wood stone oven using the best Italian flour. The sauces and dough is freshly made in-house. All their veggies and cheese are freshly sourced and are of the best quality. Their motto is to offer fresh, innovative, healthy and pure vegetarian food. The Veggie Pizza Company is a tiny restaurant. It can seat 10-12 people. It is more of a delivery oriented place. The ambience is bright and cheerful. I liked the fact that it was sparklingly clean. The interiors are done up in green and white colors. What got my attention as soon as I entered the place was the history behind the pizza; The journey of the humble pizza is depicted on the walls. The service was quick and efficient. The pricing is reasonable and pocket friendly. They do delivery almost everywhere. The menu is simple and easy to order. They have their signature pizzas, traditional Italian pizzas and you also have an option to make your own pizza. Apart from pizza they also offer salads, starters, pasta and desserts. As for drinks they serve fresh fruit juices and soft drinks. They also offer meal combos. We were offered freshly squeezed orange juice. It was refreshing. We started off with Edamame and veggie salad, Mini pizza calzones and Vegetable Cutlets. Edamame and Veggie Salad- It was fresh and crunchy and the edamame was mixed with veggies like carrot, broccoli, spring onion, lettuce and mango. It had a tangy dressing. Mini Pizza Calzones- The delicious mini pizza calzones were stuffed with mushrooms, tomatoes, onions, bell peppers, mozzarella and Parmesan cheese. Vegetable Cutlets- The cutlets were the basic ones that you get everywhere. It had freshly cooked and mashed veggies with bread and it was deep fried. 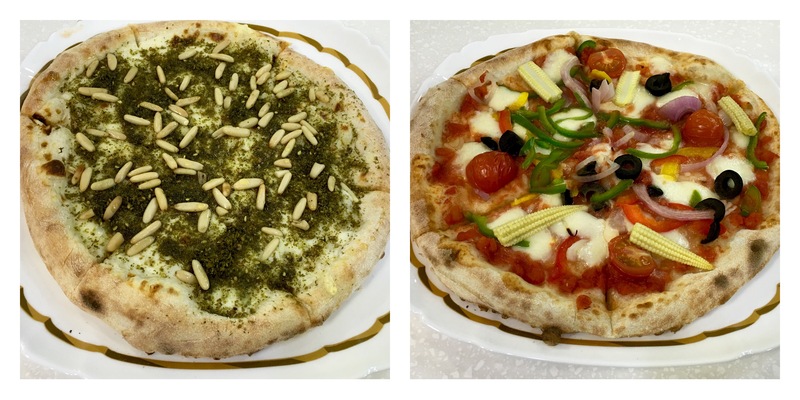 After that we tried Zaatar and Honey Pizza, Countryhouse Pizza and Vegetarian Penne Pasta. Zaatar and Honey Pizza- I liked it, it is a bit on sweeter side. This pizza was soft and tasty, it had Zaatar in a white sauce with honey. It had a mix of mozzarella, emmentel and ricotta cheese. Countryhouse Pizza- It was not extraordinary. It had tomato sauce with toppings like cherry tomatoes, onions, olives, bell peppers, baby corn and mozzarella. All their pizzas are hand stretched. Vegetarian Penne Pasta- The pasta was well cooked and tasty. It had veggies like tomatoes, bell peppers, broccoli and corn in pink sauce. As for dessert I tried the soft serve ice cream in vanilla flavor. 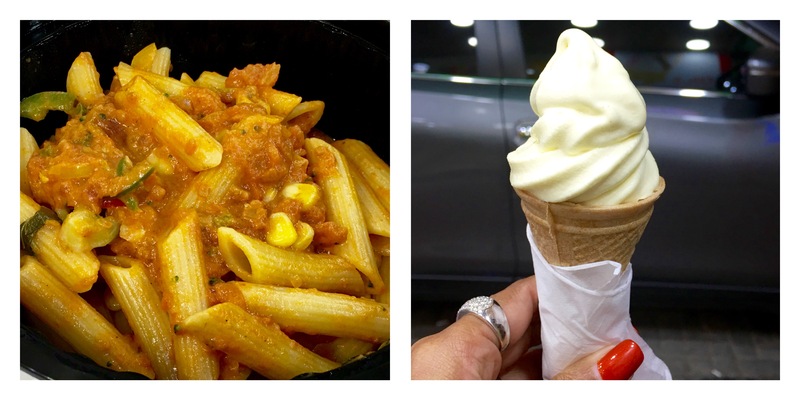 They sell locally sourced soft serve ice cream. They also offer couple of cakes for dessert. The Veggie Pizza Company is a good veggie pizza option to consider, for all the vegetarian/vegan foodies.